The Little House that Stood is a VeggieTales-style modern parable illustrating Jesus’ parable of the houses built on sand and rock. 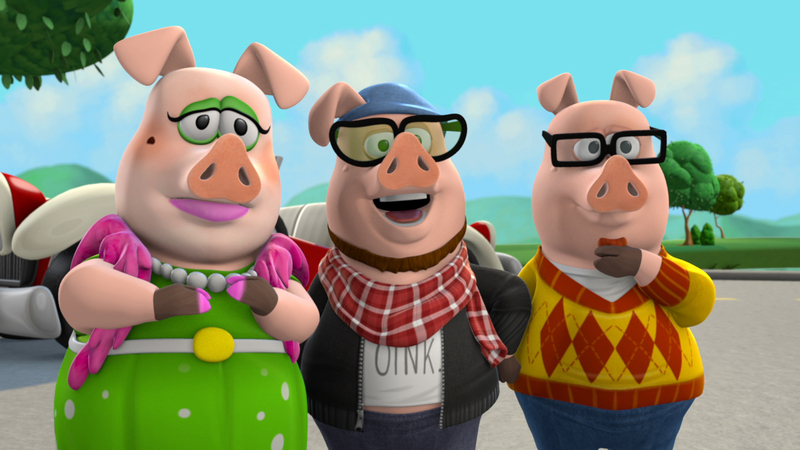 Imagine a cross between Bob the Builder and a contemporary Three Little Pigs. 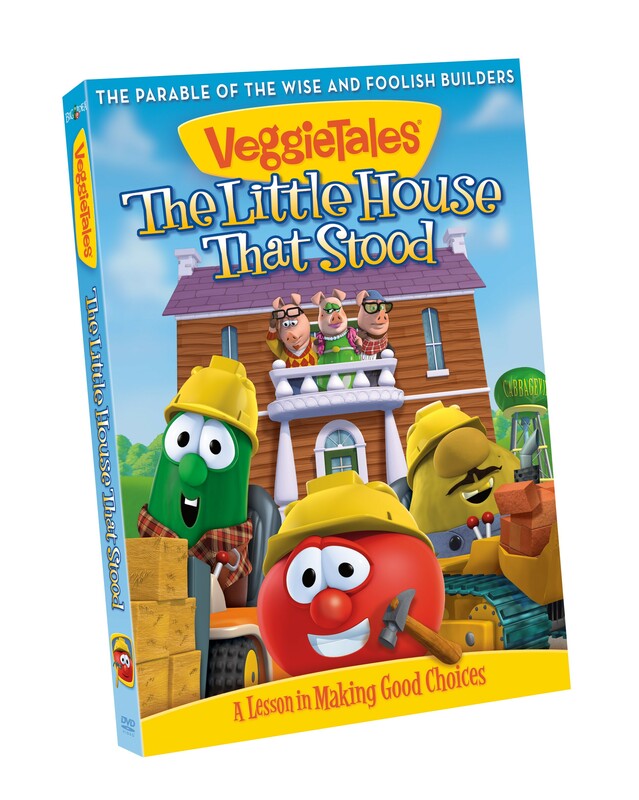 Then embellish it with scriptural truth and a generous helping of VeggieTales humor, and you’ll have a pretty good idea of what to expect. I found myself laughing aloud at several of the gags and wordplays. One of the pigs was a female who ordered something for hair removal from the Internet using a Groupon coupon. Although there was nothing objectionable about that, the hair removal references seemed a bit out of place to me, especially for a children’s video, but I could see the connection later when the pigs discussed the hair on their chinny-chin-chin and her chin was smooth. I really enjoyed the video and felt it had a great message: that we must build our lives on the solid rock of God’s Word. In the new Silly Song, Larry throws a party and sings Happy Toothday to his lone tooth. The song is—what else?—silly, and has a pleasant Caribbean feel. The bonus story, “The Good Egg of Gooseville,” is a hilarious conglomeration of Mother Goose stories that teaches about being a good neighbor. The only small problem I noticed in this story is one inconspicuous use of the word “gee,” which traditionally has been considered a minced oath, or a euphemism for “Jesus.” When it comes to taking the Lord’s name in vain, even by suggestion, I believe in erring on the side of caution. As usual, the people at Big Idea have done a fantastic job of producing a video for the whole family to enjoy.